Feng shui master Ying-Wei Ruan (on right) is a native of Zhongshan, Guangdong, China, the hometown of the father of the Republic of China, Dr. Sun Yat-Sin. He has over 30 years of experience in feng shui and has studied with numerous famous Chinese feng shui masters. His last Teacher, Grandmaster Sun Tam-Bong, is one of the oldest and most respected feng shui experts in Southern China. Master Ruan is the only disciple of Grandmaster Sun. 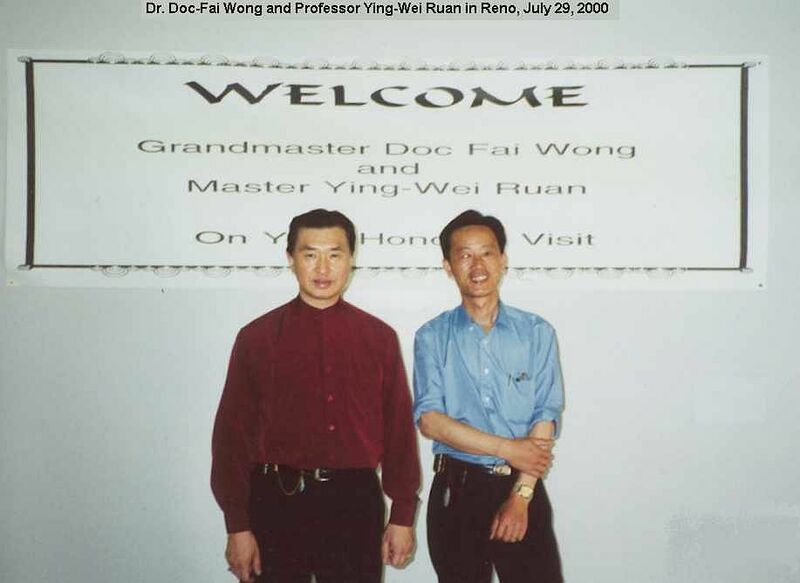 In the summer of 1998 Master Ruan and his family immigrated to San Francisco, where he met the well-known martial arts teacher and California State-Certified acupuncturist, Grandmaster Doc-Fai Wong. They became good friends and he accepted Doc-Fai Wong as his only feng shui student. Now Doc-Fai Wong is Ying-Wei Ruan's assistant and English translator.